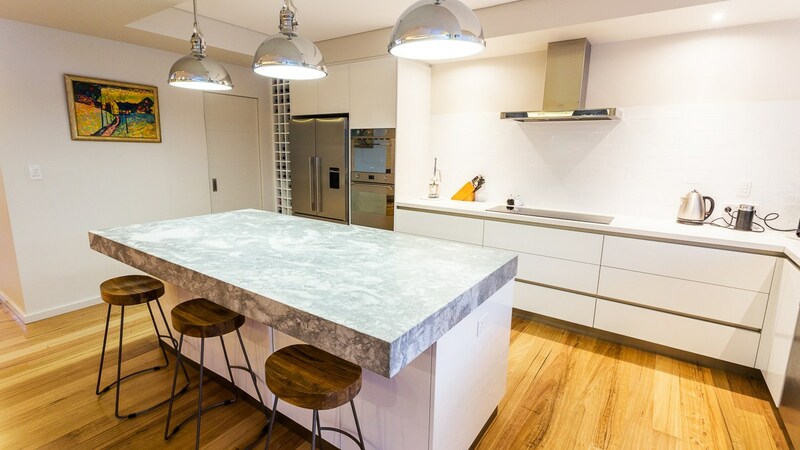 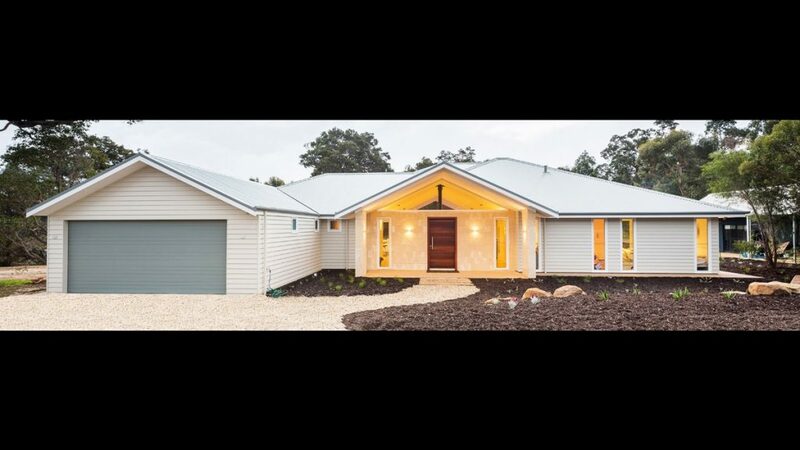 This beautiful family home was built on a rural lot with a stunning bushland outlook. 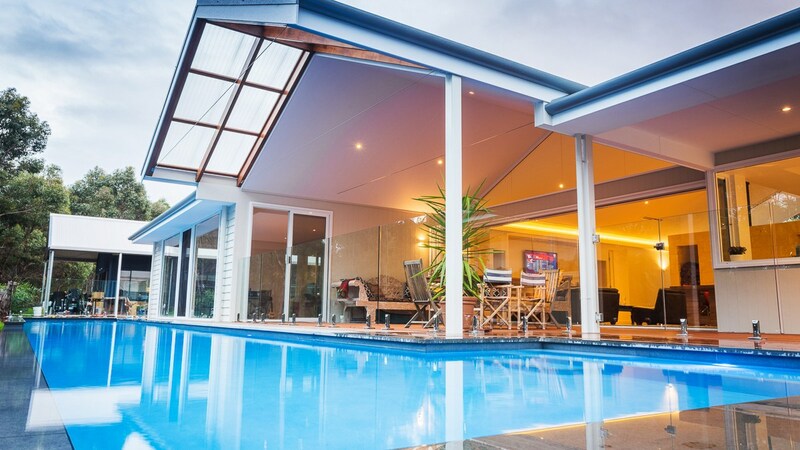 The owners wanted plenty of space for their young family to grow and a home which they could watch the kids in the pool whilst being inside the house. 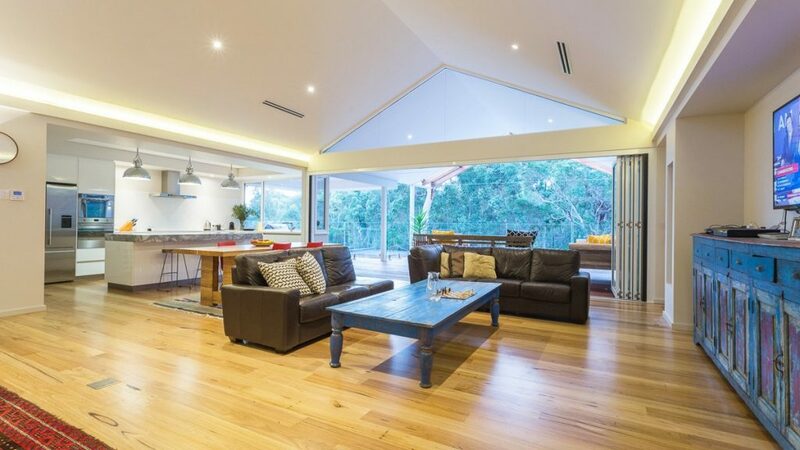 High ceilings and highlight windows give a sense of space throughout the living areas and allow plenty of natural lighting into the living areas. 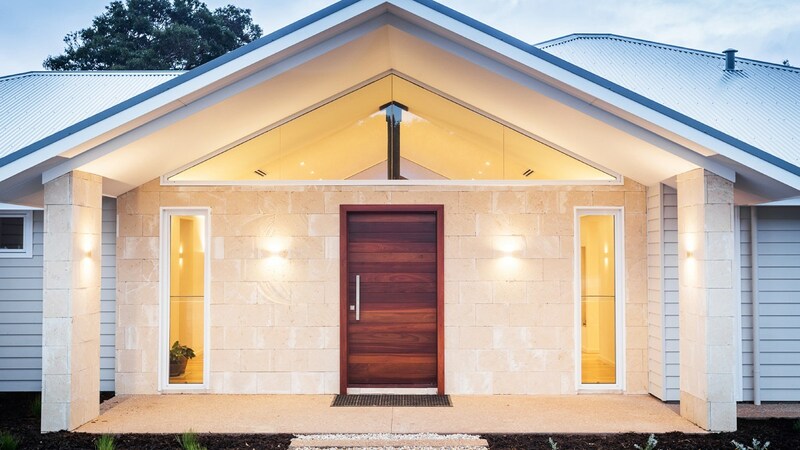 The stand out features would be the custom jarrah entry pivot door, double sided freestanding limestone fireplace and luxury infinity lap pool which extends along the entire length of the house.